The countryside around Rome, while not quite as picturesque as Tuscany or Umbria, is rich with fascinating destinations for exploration — and eating. This weekend I drove out to visit my friends Jenny and Umberto in Palestrina and was rewarded with an in-depth tour of one of the most densely layered towns in Lazio: from prehistoric settlements (now lost), alleged Pelasgian roots evidenced by massive walls of opus poligonale, and most importantly the imposing sanctuary of Fortuna, all of this built prior to year zero. In the subsequent two millennia the city saw warring with Romans, invasion by Lombard warlords, clashes between medieval clans, dominance by the Colonna and later Barberini whose palace rose above the temple’s ruins, and then, in 1944, tragic bombing raids which destroyed much of the town but revealed its ancient ruins. Today it sees surprisingly few visitors, which is part of its charm. We began our exploration high above Palestrina in the hamlet of Castel San Pietro Romano where we picked up a bag of “giglietti”, amazingly light biscotti from the local forno. From up here (elev. 752 m.) Umberto gave us a great overview of the surrounding Lazio countryside, from the snow-capped Apennines to the east to Rome and the Mediterranean visible to our west. Umberto and I then hiked down the winding trail to the Palazzo Barberini, built in the 17th century above the remains of the 11th century Colonna palace which was in turn built above the Temple of Fortuna Primigenia. The museum contains an excellent collection of sculpture, inscriptions, cistae, cippi, votive statues, household items, and most famously the Nile mosaic, recovered from the Roman forum of Palestrina. Since my last visit an attractive gift shop and bar have opened, run by an organization called Spazio Articolo 9 (based on the article of the Italian constitution which protects cultural development and scientific research). Although (or perhaps because) it is less packed with treasures than Rome’s more famous museums, Palestrina’s archeological museum is a pleasant place to contemplate ancient civilization(s) in an elegant, compelling setting. I loved the chance to combine close-up examination of tiny bronze statues with gazing at frescoed ceilings and fireplaces and panoramic views into distant hill-towns, all from the same vantage point. We enjoyed a truly amazing luncheon in the charming home of Umberto’s sister in a small olive grove with polenta and grilled meats by the fireside. To top it off, the carnival specialty, castagnole, made with a secret recipe involving ricotta and resulting in delicate and not-at-all oily fried delicacies. The day was topped of by a trek off into the countryside on a quest in search of ancient aqueducts. Our hike through the woods and fields was rewarded with views of the setting sun from atop the Aqua Marcia at Ponte Lupo and a strong desire to go back and find other important testaments to Roman engineering nearby. I’m looking forward to including this itinerary, home-made lunch and all, in upcoming architectural programs. Email info@tomrankinarchitect.com if you want to receive information. Consider staying a few days in Palestrina; it is an excellent base for explorations to Tivoli, the Alban Hills, Abruzzo, Tuscany and Rome itself. La Taberna is good but closed for lunch (cyclopian masonry wall at the back of the restaurant, good craft beer). Located behind the main cathedral. Will need reservations. Kind of modern and trendy. Medium prices. Popular hangout for adults. Small outdoor patio. Antica Palestrina (simple but good and they serve traditional Lazio food, even pizza; located in the center. Not expensive (less expensive than La Taberna). More of a family place. Outside patio area. Hieronymus or ‘da Rosy’ (simple and cheap, very small and you should always make reservations). 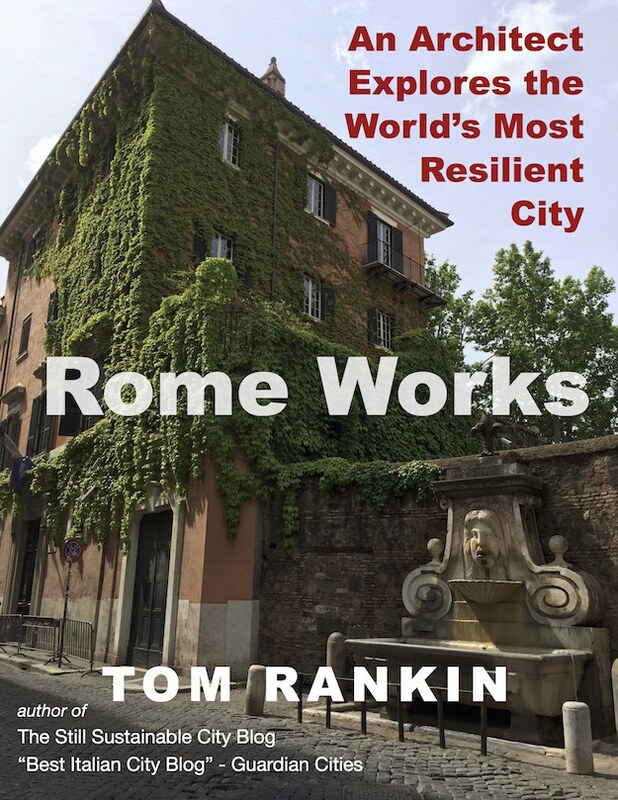 See Peter J. Aicher’s Guide to the Aqueducts of Ancient Rome for the best indications on how to find the ruins, or contact me to propose an itinerary. PUBLIC TRANSPORT: Palestrina is located: 25 minutes from Tivoli, 25 minutes from the Castelli Romani, 40 minutes from the Ciociaria, 60 minutes from the Tuscia, 90 minutes from Naples. 2. Train from Termini or Tiburtina to Zagarolo (30 minutes) and then Cotral or Cilia bus to Palestrina. BY CAR: From Rome take the A1 highway (Roma sud entrance) and get off at the second exit called San Cesareo. From there, follow the blue signs to Palestrina (passing through Zagarolo).